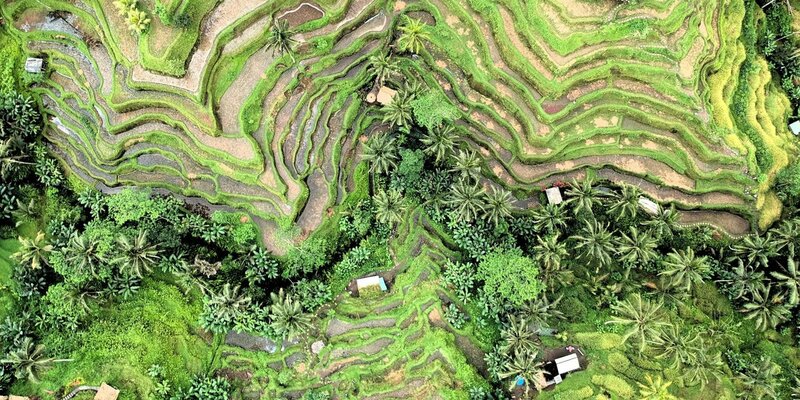 Ubud's lush rice terraces. Credit chema-photo. Sanak Retreats, an understated, all-natural stay. With its verdant mountain-meets-the-ocean landscapes, rich heritage and deeply-ingrained spirituality, Bali has long been a wonderland for good health and wellbeing. Whether you’re popping to the Island of the Gods for a few days, or luxuriating for weeks on end, here are the best wellness experiences to be found. With an astounding position over the Ayung Gorge, Como Shambhala Escape is one of Bali’s original retreats, renowned for its customised wellness programs, sacred spring water vitality pool, sensational spa and a team of best-in-world therapists, both resident and visiting. Opt for a luxurious, teak and rattan in-residence suite or your own private villa; dine on raw, organic delights at Glow and gourmet Indonesian fare at Kudus House. Did we mention you get your own personal spa consultant? Now that's the way we like to detox. Retreats run for three, five and seven days (or longer). Stylish, rustic and petite, this nine-villa in/out wellness and spiritual hideaway is perched on the banks of Ubud's River Ayung. Even if the yoga, vegan raw food and the mind-expanding treatments are not your bag, the tranquil, jungly waterside locale and customised chakra lighting will soon have you blissed out. 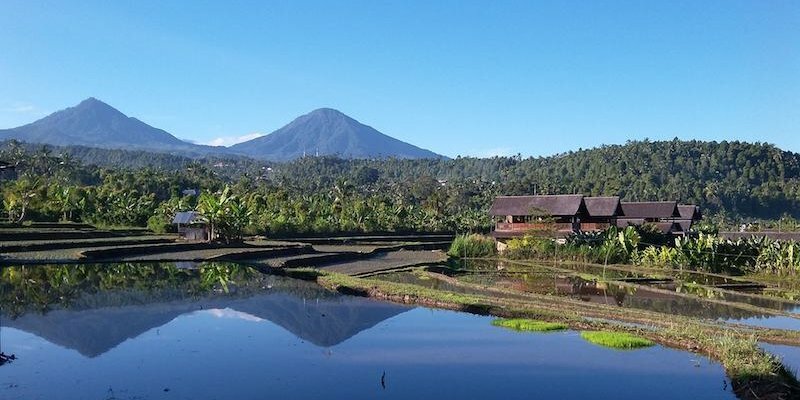 An array of tailored retreats span traditional detoxes to rebalancing of your lifestyle via traditional Balinese healers, raw food and sacred arts. Occupying a lush patch of paradise in a yet-to-be-discovered corner of Bali, Sanak is host to a novel range of activities – from foraging for your food to crafting herbal remedies – that will soon have you switching off from life back home. Choose from one of just ten simple, dark-timber bungalows or book the lavish three-bed villa if you have the tribe in tow; the Heal Spa, natural, freshwater infinity pool and wholesome, garden-fresh cuisine round out what is Bali’s most understated, all-natural stay. This astonishing, exclusive eco playground set on 2.5 km of pristine white sands offers a smorgasbord of healthy pursuits. 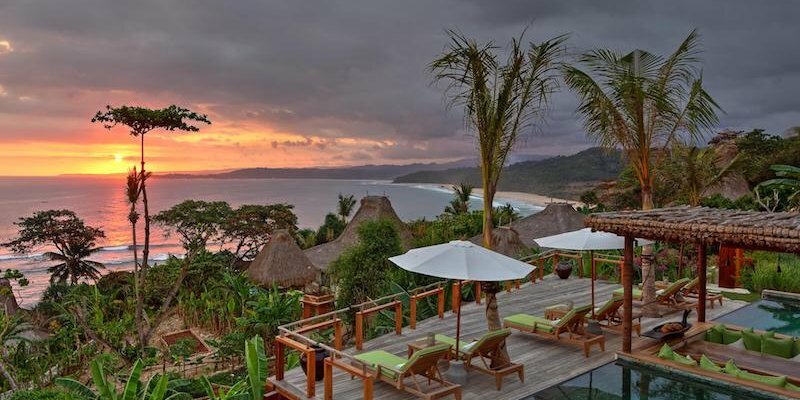 Located on the island of Sumba, close to the notorious Occy’s Left surf break, Nihi is barefoot luxury personified: from the beautiful, rustic-chic villas adorned with romantic mosquito-netted beds to the sand-in-your-toes dining. Play fantasy castaway as your very own man Friday teaches you to fish, dive, horse ride and downward dog, or simply relax. Ubud’s first-ever museum, founded in 1956, showcases some great examples of Balinese art and wood carvings amid gorgeous statue- and foliage-dotted grounds. You too can enhance your cultural prowess by joining one of the first-rate workshops on drawing, carving, batik making, local dance and music. Penelope Williams’ extraordinary cooking and culture school offers 'day classes' doubling as one-of-a-kind experiences such as rice planting and fishing in a jukung canoe to field ploughing with a cow. Post real-deal adventure, you’ll cook your spoils on an open mud-brick stove and craft cocktails from cashew nut wine – now that’s a recipe to take home with you! Let Victor Mason and his sidekick Su lead you on a leisurely stroll through the hills of Ubud, spying birds, butterflies, trees, and herbs along the way. Popular with families, they run tours four days a week, and can also tailor a jaunt to suit – for die-hard twitchers, they’ll arrange something extra special. Leisurely lunches are always included. 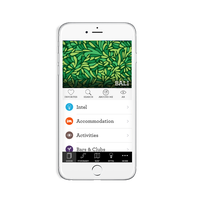 Villa rental pros Private Concierge are also known for their high-end insider activities, from cooking classes with a top chef, to volcano crater cycling. 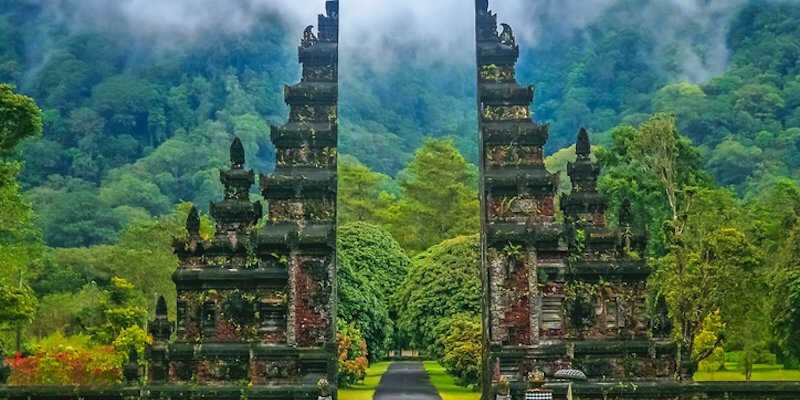 But it’s their fabulous ‘Seven Temples to Enlightenment’ tour that will earn you serious karma points, taking you right back to the island’s C.8th Hindu roots via World Heritage-listed temples and meditation spots that even the Balinese don’t know about. This article was originally written by LUXE for Cigna Smart Health and updated Nov 2018.